If you don’t know by now that Summer is one of my favourite seasons, then you will by the end of this summer’s blog post. 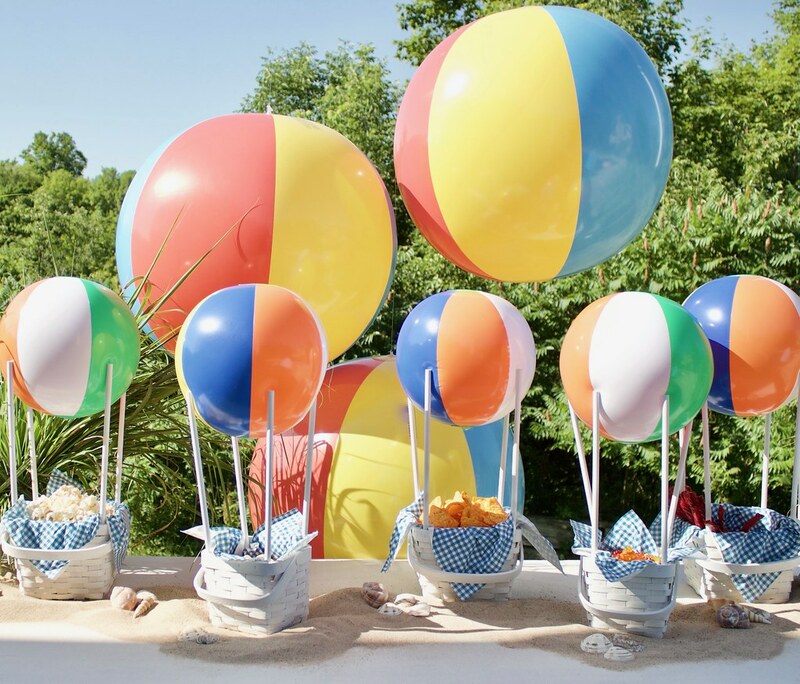 If you are creative and love to entertain as I do, making an intimate summer event extra special in detail is where I am taking you this season. It’s all about the details here! When entertaining and/or hosting an event the details are important and key to making the day a success. When you take the time, and care about what you present to others, even in the form of hosting an event; it shows a lot about who you are and how you care about making things extra special. It doesn’t have to be expensive, my favourites are the most economical and simple ways that bring out the best creative work. UP UP and Away…let your creativity flow! 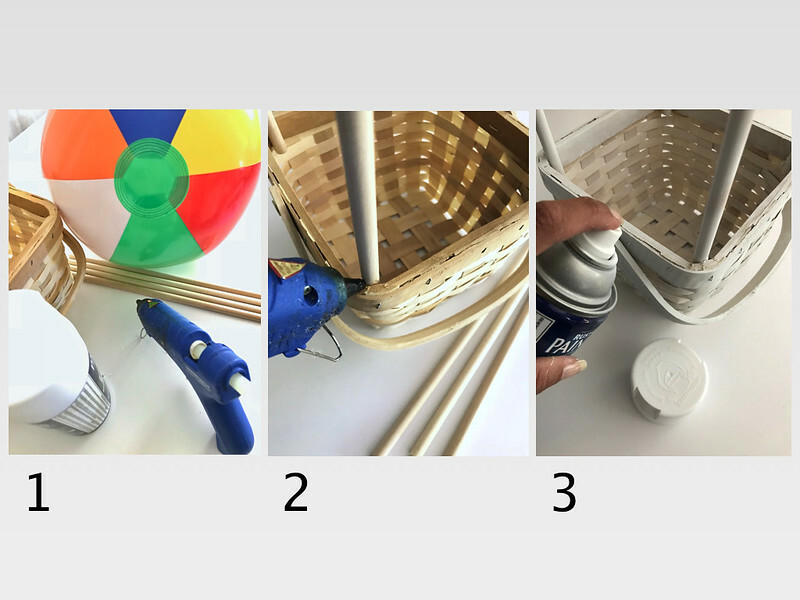 with our custom made “Hello Summer Party Decor DIY” air balloon baskets. 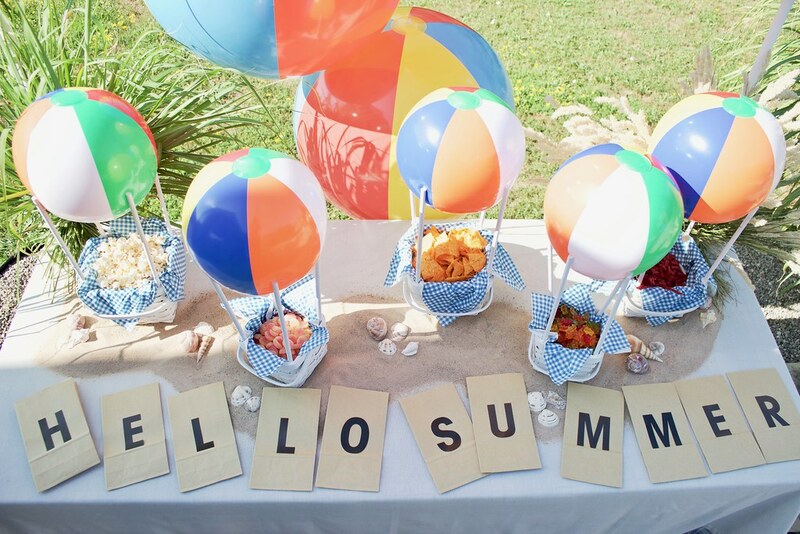 These can be so versatile for many things and here we have used them for a sweet table of a summer party. 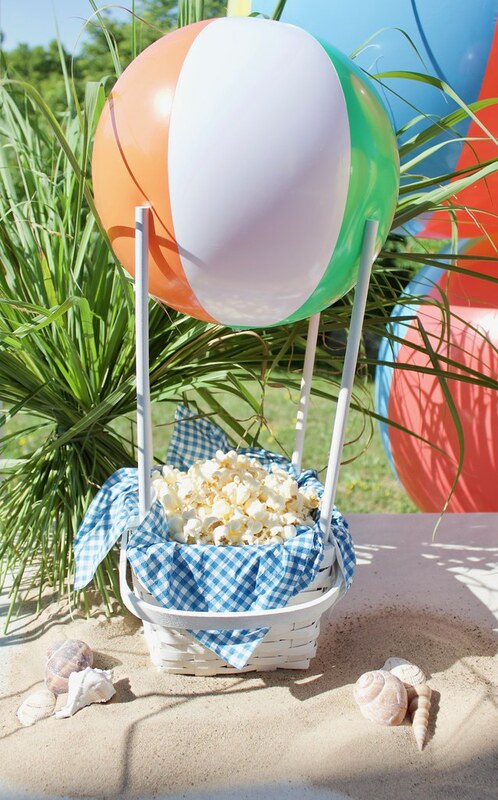 Here they were filled with snacks of chips, popcorn, and an assortment of candy. FYI…Chocolate didn’t make the cut because of the melting factor. lol, after all Summer is the warmest season of the year. How fun! 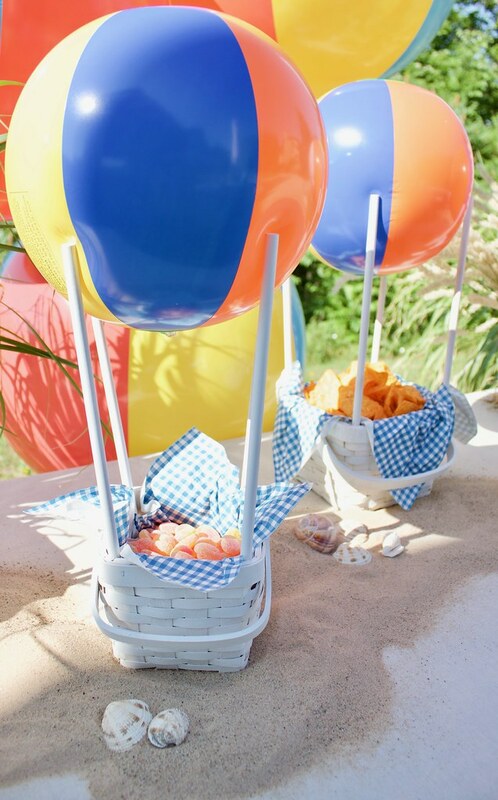 to have the guests choose their favourite treats from a display of fun props. Here tablescaping (an artistic arrangement of articles on a table), with beach sand and shells to add the extra special details and touch to make this sweet table presentation extra special. It is definitely a passion and natural gift for me to create and it’s always a pleasure when others appreciate it! That’s why for me here at C2-interiors.com having this blog outlet to share some fun ideas and creative designs has been so great!